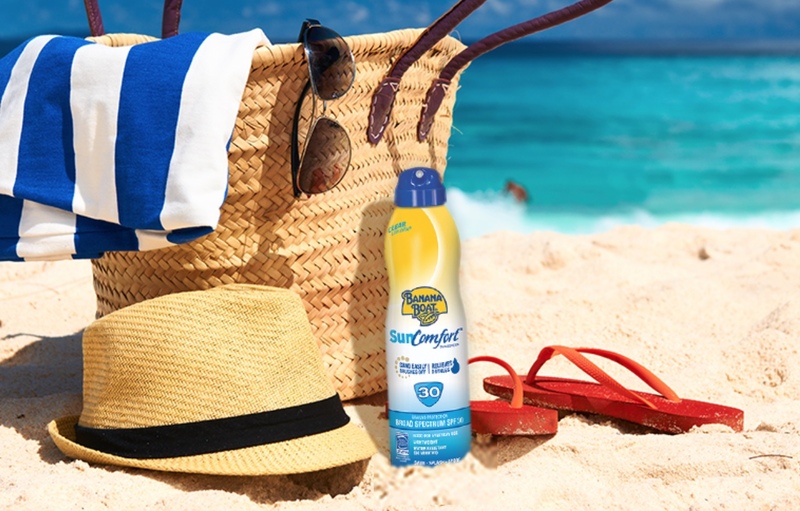 Banana Boat Sunscreen is an established brand on the global sunscreen market, coming out with new products every year in response to demand from the public and trends dictating sunscreen 'fashion'. However, some criticisms leveled at the brand reveal some not so great attributes, especially where their chemical-based sunscreens are concerned. In recent times Banana Boat sunscreens have managed to get themselves into some controversial situations, to the extent of actually having to withdraw a huge number of their products from the shelves. According to WEB MD, at least five people have actually caught fire after using one of the Banana Boat sunscreen spray products. This spurred a recall of 23 spray sunscreen products sold from January 2010 through September 2012. The Banana Boat manufacturer, Energizer Holdings Inc., announced that "If a consumer comes into contact with a flame or spark prior to complete drying of the product on the skin, there is a potential for the product to ignite". It seems that the main issue is that their spray takes too long to dry and until dry remains flammable. In total there have been 4 burn reports in the USA and one in Canada, but they were asking people who have bought their product already not to use them. 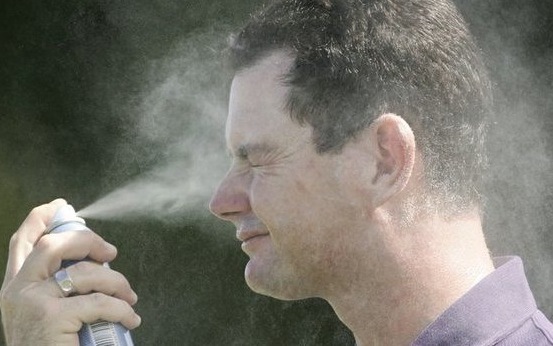 The fact that all continuous spray sunscreen products contain some sort of warning on their labels that they must not to used near open flames or sparks, and even that people should refrain from smoking when using such products, is enough to put me off completely. However, the reality is that not many people read the warning labels until after the event. If interested though, the list of products can be found here. Although Banana Boat sunscreen labels say they offer high protection against both UVA and UVB rays, they do not appear to be certified for UVA. Labels on some of the sunscreens claim to provide 96% protection for UVA/UVB. UVB perhaps, but certainly not UVA. In fact, criticisms have been leveled at Banana Boat for not providing high enough UVA protection from such organizations as the Environmental Working Group (EWG) in their Annual Sunscreen Report. They report that "this product protects babies from UVB radiation and the sunburns it causes, but leaves them exposed to UVA radiation that penetrates deep into the skin." This is of great concern to me because it is the UVA rays that are so very damaging. By protecting your child with the highest possible SPF you are shielding them from the UVB rays only. If there is no balancing high UVA protection, you effectively invite UVA deep level damage. The high SPF means that you probably won't get sunburnt so you'll think you've done a good job with your sun protection, but in the meantime, the damage is done below the skin's surface. It appears there is a problem with the sunscreen ingredients breaking down in sunlight, "even though they have used stabilizing additives to try to prevent this" according to EWG. If they are in fact breaking down when we go into the sunshine, one assumes the protection will not last very long. This is a hormone-disrupting compound, which penetrates the skin and enters the bloodstream. Pretty nasty don't you think? It can be found in many sunscreens actually. Online Banana Boat sunscreen information varies quite a bit. More consistency would help to clarify some irregularities in information. 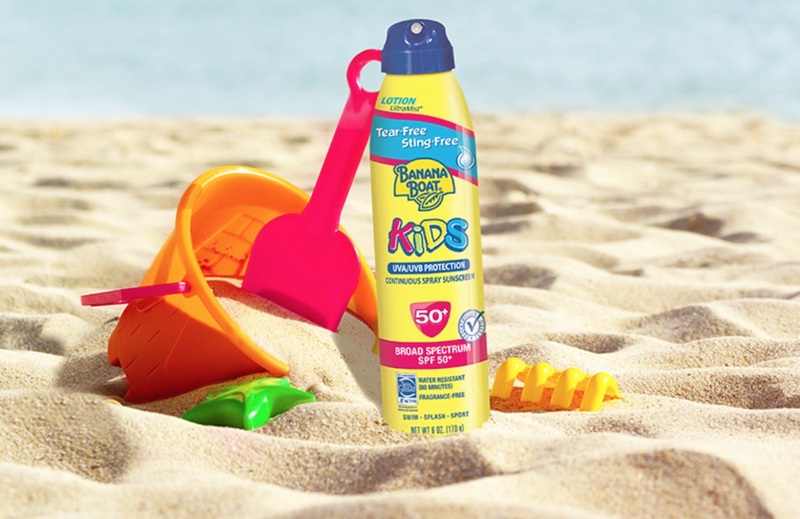 A potential customer asked both the American and Canadian Banana Boat Customer Service desks specifically about the Banana Boat Sunscreen for Kids, SPF 50 containing oxybenzone and they claimed that it does not. However, it seems many of the Banana Boat products actually do contain the ingredient oxybenzone and these representatives from the Banana Boat sunscreen helpdesks were not able to provide any confidence in their answers regarding the nature of when and why this ingredient is used. It is interesting that the customer care people weren't able to convince a potential customer that they knew what they were talking about. My understanding is that all sunscreens have to list all the ingredients as part of the labelling requirements. Sunscreens sent to EWG for a review just have to say what is on their label rather than actually sending the tube or bottle concerned for review. If in doubt, any sunscreen that contains oxybenzone is worth avoiding. Knowing that it may possibly be a hormone disrupting compound, or the cause of any skin reactions is enough for me to choose another sunscreen that does not contain it. This is the only chemical sunscreen currently allowed by the European Community, used to block long-wave UVA. However, it needs to be combined with other sunscreens for a 'broad-based' result. Avobenzone is easily absorbed through the epidermis and as a chemical, absorbs ultraviolet radiation energy. Not able to destroy this light energy, it converts it into chemical energy, which is then released as free radicals. In addition to this, in sunlight avobenzone degrades and becomes ineffective within about 1 hour. This is considered to be a new emerging photoallergen. Recent studies by the FDA, found that it may accelerate skin cancer development. There appears some confusion about whether or not the FDA is standing by these stated findings. In the meantime, I, like most people, tend to see vitamin A and think it must be good for me. Finally, it is interesting to note that the baby specific "Banana Boat Baby Sunblock SPF 50 8 Oz" is advertised as "pediatrician tested. Won't sting eyes. As mild as water. No tearing. Waterproof. Tear-free hypoallergenic protection for babies... recommended for baby's sensitive skin". However, the product warnings then declare "when using this product avoid contact with eyes. If contact occurs, rinse thoroughly with water." In my mind, this doesn't quite ring true with "as mild as water"?